The time has come to send the littlest one off to school. Most of his years have been absent from this little blog of mine. Things got busy, and I simply lost confidence. That is about to change. With Alexander starting school I’m hoping to find more time for me – yes I still need to work, pretty much full time, but I’m hoping to carve out at least a few hours a week to focus on writing and building up this space of mine, and perhaps a new project or two. 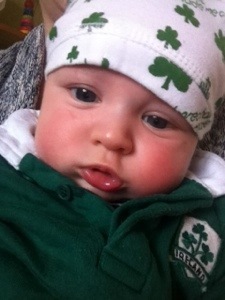 In the meantime, let me tell you about this darling littlest boy of mine. We had a few trials to get to Alexander, but oh he was worth the wait and all the heartache. He made us complete, and I couldn’t love him any more than I do. He is a bundle of happiness, chatter and hugs (he’s very keen on the hugs) and he has a wonderful way of making everyone around him smile. At nearly 5 (his birthday, like his brother’s, is in December – well done us!) he is so ready to go to school. I’m not sure I’m ready but then I don’t think as a mum you are ever ready for your babies to start their journey away from you. I know from experience that the school years go so quickly – Elliot is going into Year 3 and it only seems like yesterday that it was his very first day in Reception. Alexander will have the same Reception teacher as Elliot did, which is lovely. I’m sure they’ll notice some similarities between them, but in other ways they are very different. I’ll be posting updates on both boys soon, as this is definitely a blog to chart their story and one that they can look back on when they’re all grown up. In the meantime I’d like this September to mark a new start, for my boys, and for me. Hopefully I’ll be posting more on here, and I am very keen to start some projects I’ve been thinking about for some time. Watch this space! I feel trapped. Like a butterfly in a cocoon, a lion in a cage. I know deep down that I want desperately to write everything in my head. But I’m fearful. Fearful that I can’t dedicate the time any more to make this good. Worried that people in my “real life” will find out and think of me differently – will I be labelled as an oversharer? What is the point in a blog? Who do I think I am posting my life online? Who even cares about my life anyway? Recently I’ve ignored the tiny space on the internet that I lovingly created and crafted on maternity leave back in 2011 – and got quite good at (I was shortlisted for an award you know!) In truth, I’ve found it exceptionally hard since going back to work to carry on. My days are, quite simply, full. It’s only during times like these few days between Christmas and New Year where I can pull my head up and review the past year. Only I’ve got very little to go on as there’s just tumbleweed blowing about on here. I’m in awe of other more established bloggers, many of whom have started and excelled in the time I’ve been blithering about over here. How do they do it? For one thing, I genuinely struggle to find the time, but also I’m deep down worried about people judging what I do and my decisions and pigeonholing me into the stereotype of a bragging blogger Mum. It has also been harder since Elliot started at school, we’re now in a new community of school mums and I don’t want to come across as an oversharer, or be consided to be bragging about my life and my children. I also worry about what the boys will think when they’re older. Will they understand that I captured all of this for them? Will they forgive the absence of memories captured here from the past couple of years? Alexander turned 3 and Elliot was 6 (6!) this month. They’re growing up fast and I’m not capturing it at all, apart from some grainy photos on my phone. All I know is that I just want to write about my family. So what do I do? Carry on writing here? Create a new, anonymous, space, or give up and write it all in a private blog or a good old fashioned diary?? Who knows? I’m hoping 2017 will have the answer. 2015 and 2016 have largely been absent from this little blog of mine and it’s time for that to change. The only one who can make that change is me. Time to be a bit braver me thinks! I’ve been tagged by BooRooandTiggerToo to take on the Blog Your Heart Out meme, which I’ve seen on many blogs and always enjoyed reading. 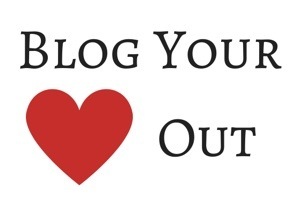 So what is the Blog Your Heart Out meme all about? It involves me answering five questions about blogging and then tagging a couple of bloggers to pass on the meme and keep the blog love going. Think of it as a modern day chain letter, just nicer! When I was on maternity leave with Elliot I read a lot of blogs and opened up a world of fellow mummies wanting to capture memories for their kids as they grow up. I am worried that I am going to forget these days so I want to capture as much as possible on here, even if it’s just for my own enjoyment in future years! 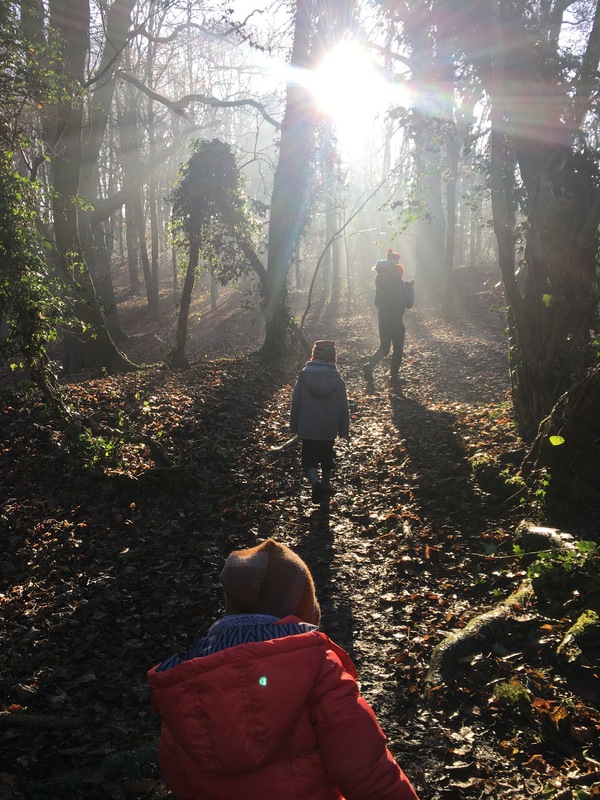 Well, when I started blogging my whole world revolved around one small but quite demanding little person and I therefore wrote mainly about motherhood. We now have two of them. They are the main subjects of the blog, but I also enjoy posting recipes and comments on parenting issues. I’m sure the subject matter will vary as my children grow up. Looking after our two boys takes up much of my time. I’m currently on maternity leave and will be returning to work later this year (my logistic skills will be tested then so I’d rather not think about it just yet!) I love creating things – recent projects have included a dress for my niece, a half finished amigarumi ‘Duck’ (from ‘Sarah & Duck’) and a cardigan for Alexander. I love to try my hand at anything from jewellery making to crochet and an hour spent in a craft shop is never boring for me! 1. I don’t normally win things. I mean not since I was an Irish dancer when I was little and my sister and I used to bring home lots of medals and trophies (sorry mum and dad, we did take up quite a lot of room!) These days I feel like I’ve won a prize if I’ve managed to successfully change a dirty nappy without getting it on me/the floor/the furniture or the baby! A nice little award would look lovely on my mantlepiece, thank you very much. 2. I love writing this blog! I am doing this mainly for me, as I know I’ll love reading about my little boys when they’ve grown and flown the nest (though I’m desperately trying not to think about that too much as am finding it hard enough being on a different floor of my house from my babies. The thought of them ever being in another house/town/county or god-forbid country gives me palpitations!) Anyway, as much as I love writing, it really makes me smile when I get lovely comments – written and verbal – from people who are reading this. It makes it all worthwhile, as would a lovely shiny award! Also, I know a couple of little people who would be very proud of their mama if I even got on the shortlist! 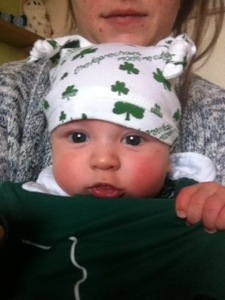 Alexander even decided to don a silly hat to prove his devotion to the blogging-mama cause! A couple of weeks ago I spotted a plea on Twitter from the lovely Aimee (Horton, over at Pass the Gin) asking for people to test out her new book. Never one to turn up an offer for a free read, I jumped at the chance and was promptly sent a copy of Survival of the Ginnest. I read it in one sitting. Honestly. It had me hooked. Written in a really interesting style, totally through Facebook statuses, I found myself wanting to add a comment myself, and kept looking for the ‘Like’ button! In short, the book tells the story of four years in the life of Dottie Harris – quite a life changing four years in all honesty, as she goes through two pregnancies taking her from a girl about town, coping admirably with working with a hangover, to yummy mummy of two and the joys(!) that her new role brings along with it. It’s a journey that lots of mums can relate to and I think the book will appeal to anyone who likes a quick read between their children’s bath time and their own bedtime! I think what I enjoyed most is the kind of abstract voice you get if you literally just look at one person’s viewpoint on what is happening in their lives – exactly what you get if you look at someone else’s (or indeed your own) social media status updates. It can often tell a story all of its own and that is what Aimee has managed to do in this book. It’s like listening to one half of a conversation, and I had great fun making up the other half in my own head as I was reading. I’d recommend you head over to Aimee’s blog and take a peek! Survival of the Ginnest is available NOW in e-book format on all digital platforms and their website shops including Kindle, ibooks, Nook and Kobo, and is priced at just £1.99!